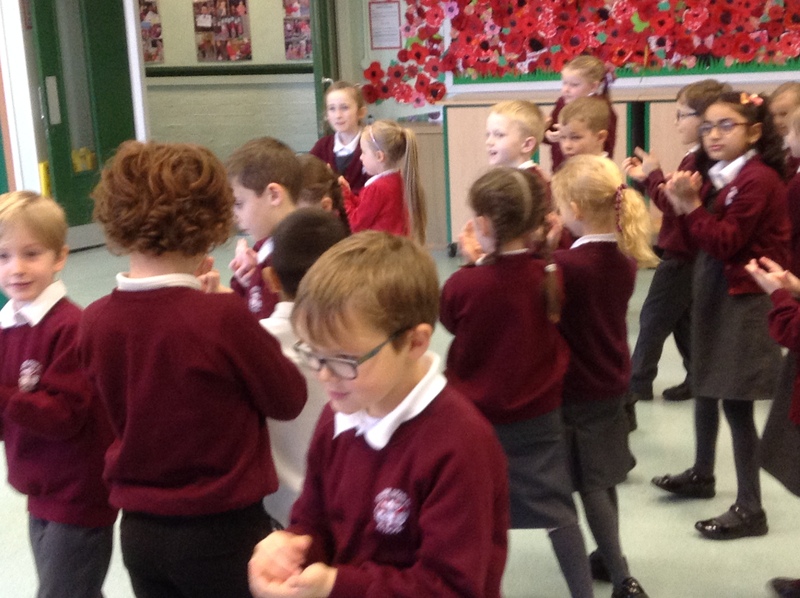 A great big welcome to all of our new classmates and their parents and carers. 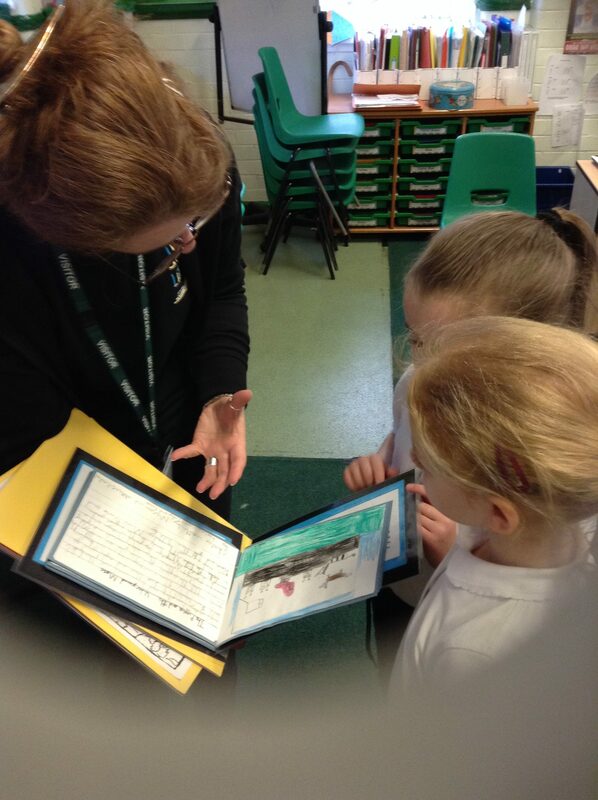 Miss Nurse, Miss Garner and Miss Fitzpatrick have a wonderful journey planned for you. 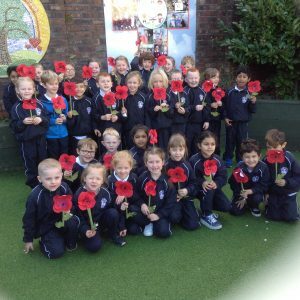 We hope Year 2 will be a year to make you all smile. 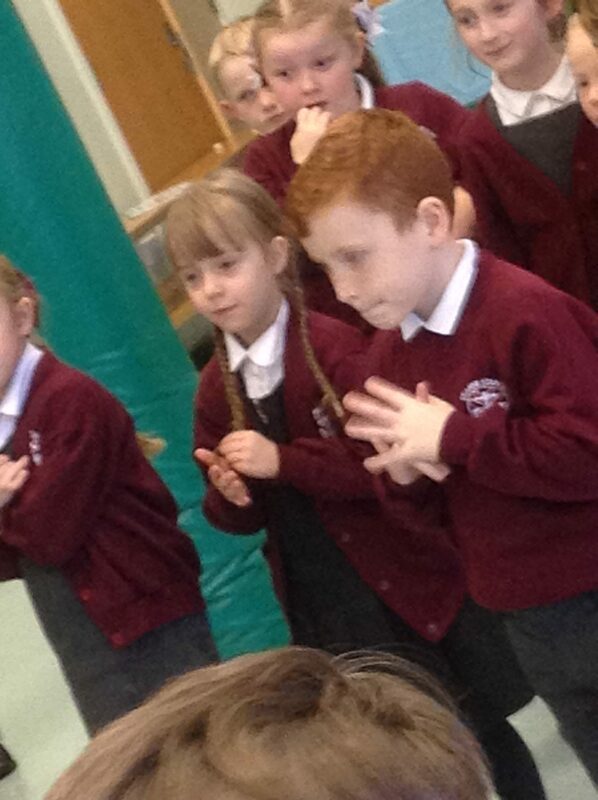 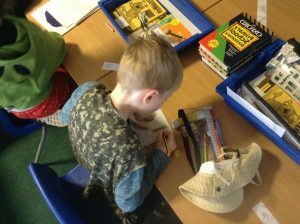 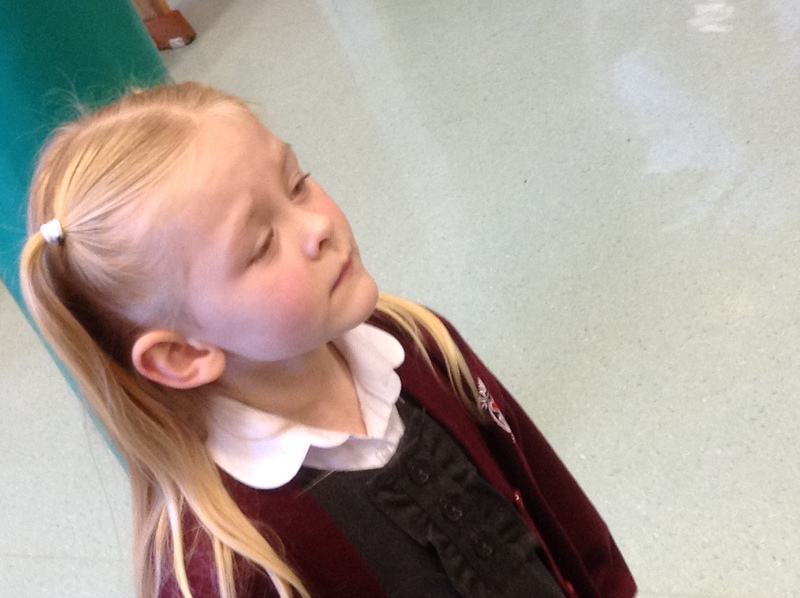 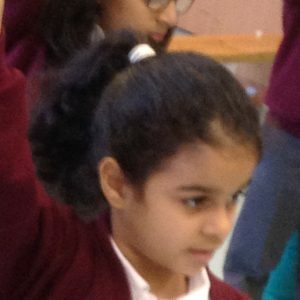 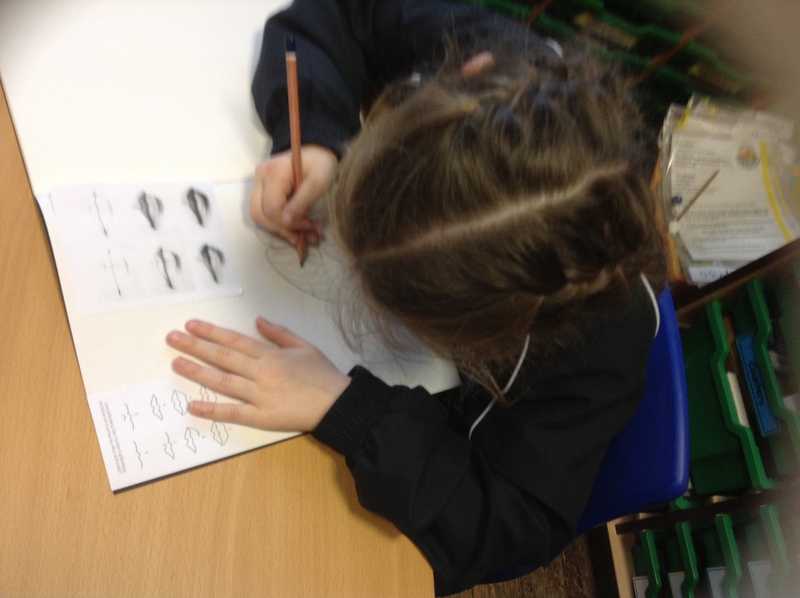 We hope to update our webpage regularly with images of the children’s achievements so please browse our class page with your little one as we progress through the year – there will be lots to talk about. 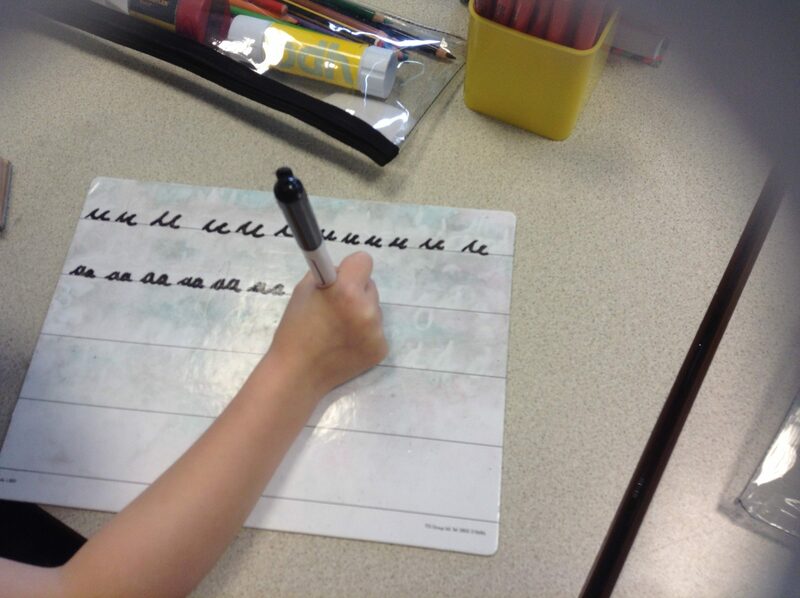 We have sent home copies of letters as we teach them in cursive style and copies of the common exception spellings for Year 2 (and Year 1). 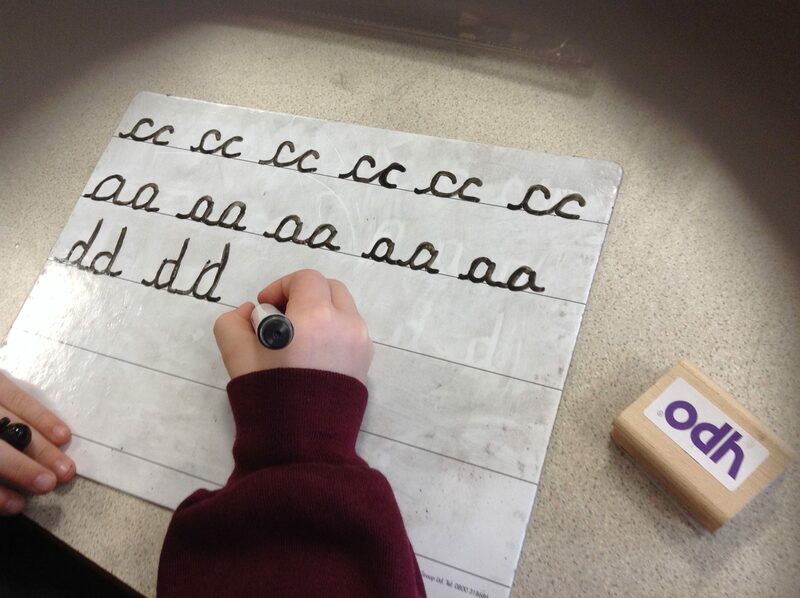 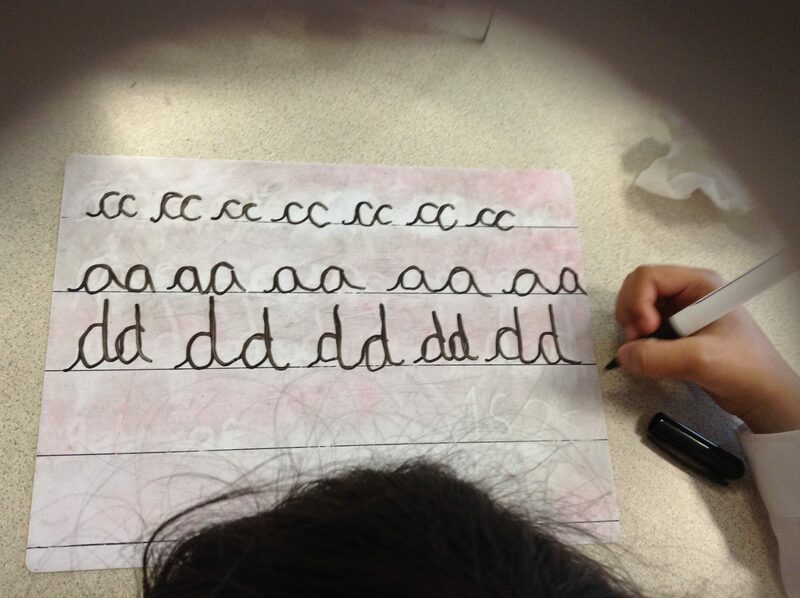 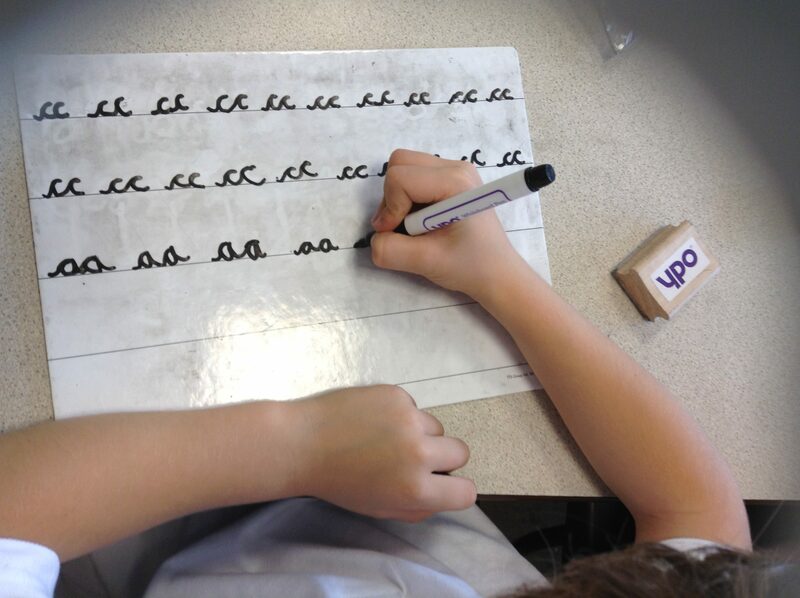 Please encourage your little learner to practise forming cursive letters as they are taught in class and their spellings. 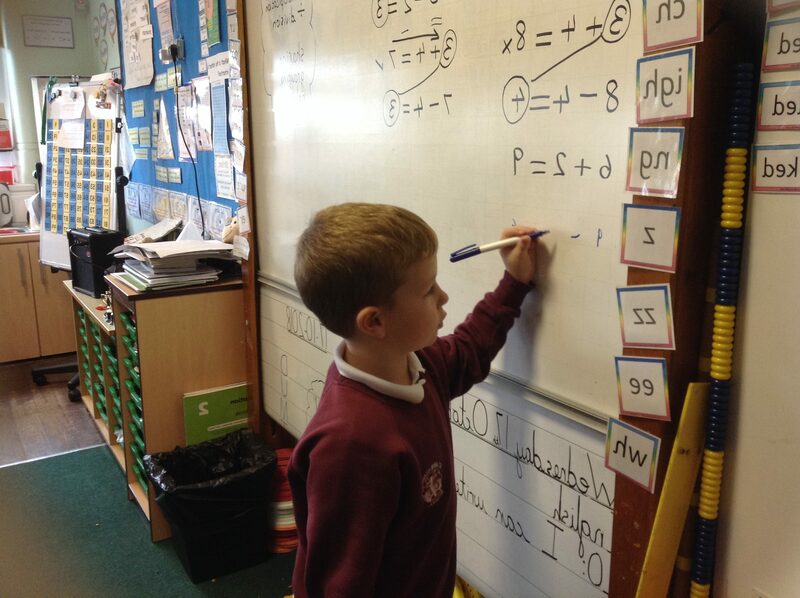 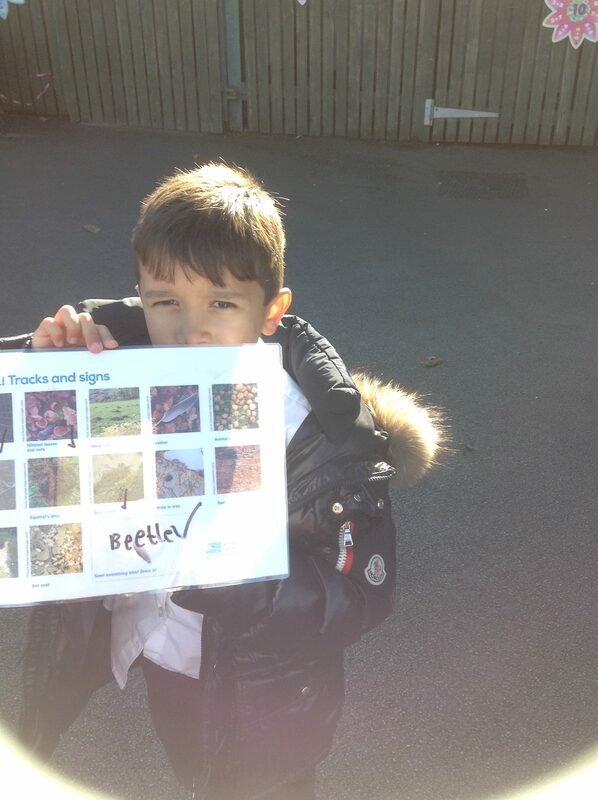 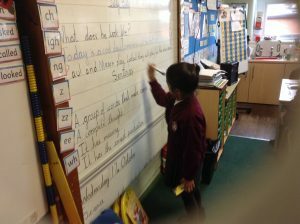 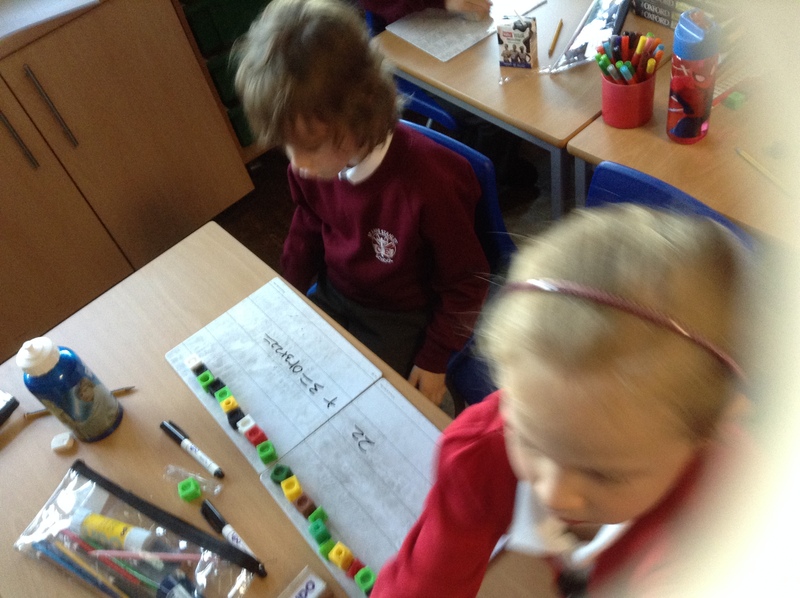 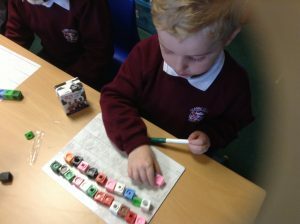 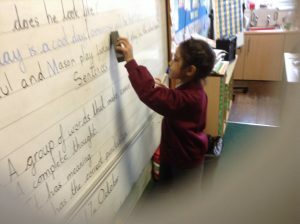 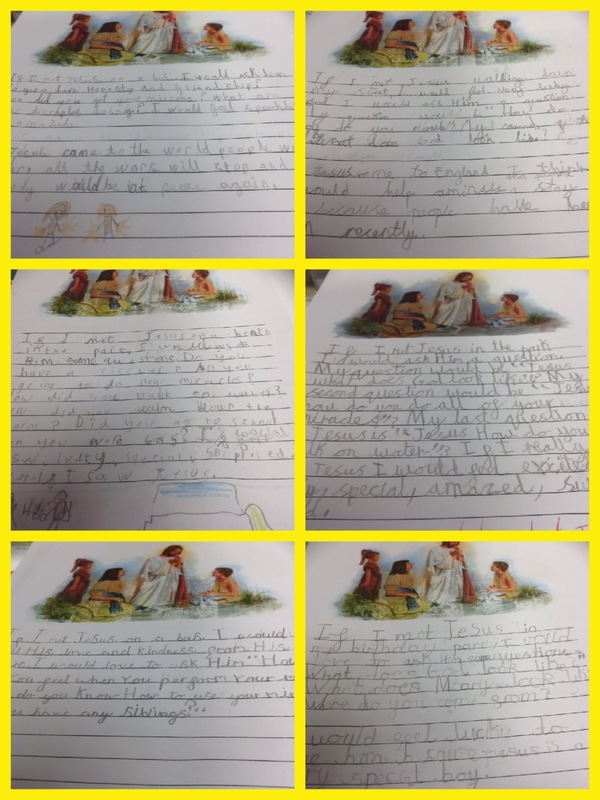 We have learned that the children who do this make very good progress in class with their writing. 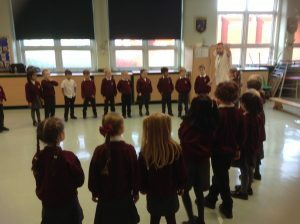 In the meantime, we are of course all still getting to know each other. 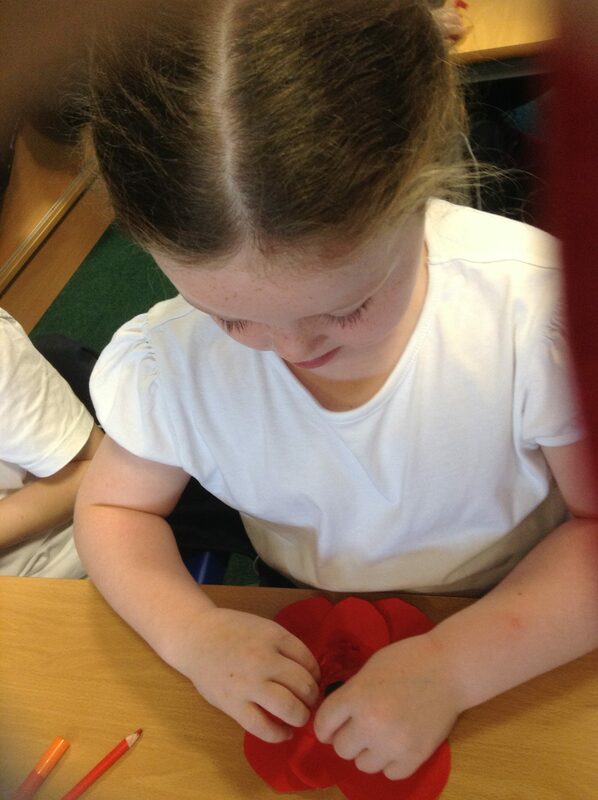 If there is anything on your mind, please come and see us. 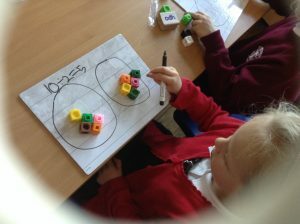 What is 5 + 6 – 3 + 2 ? 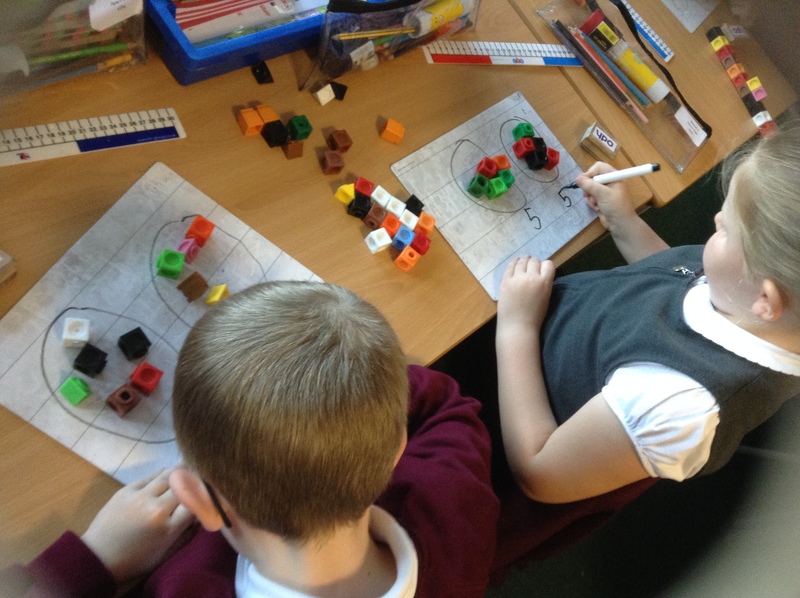 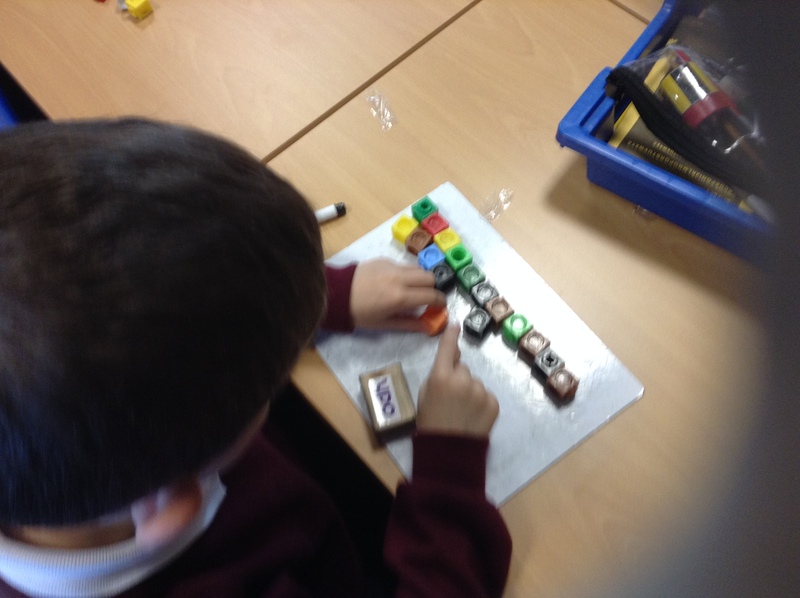 We understand that children deepen their understanding by using concrete resources and pictorial representation. 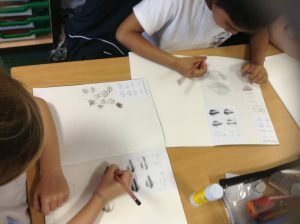 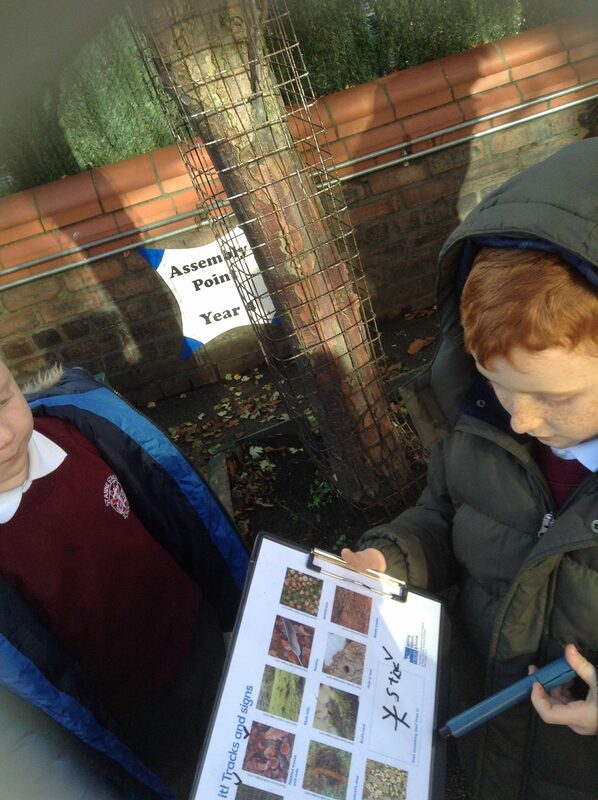 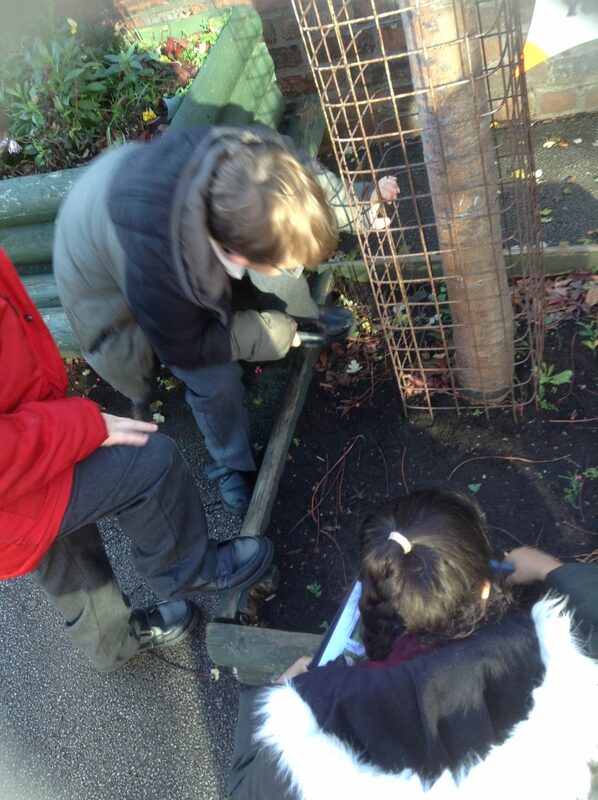 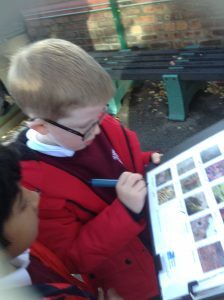 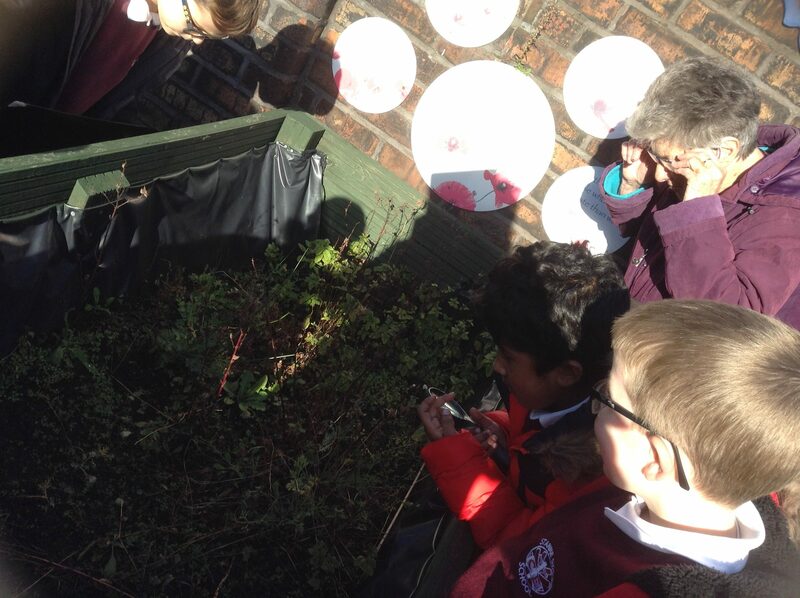 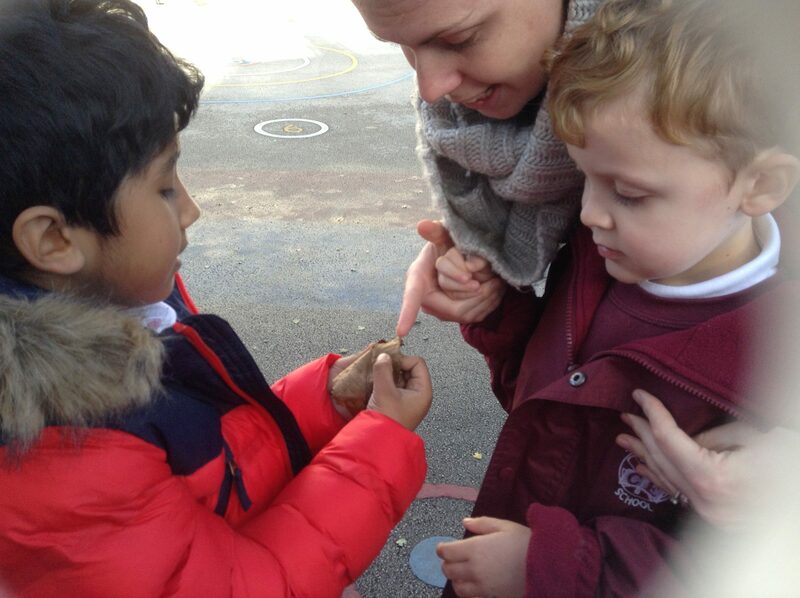 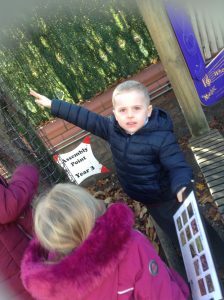 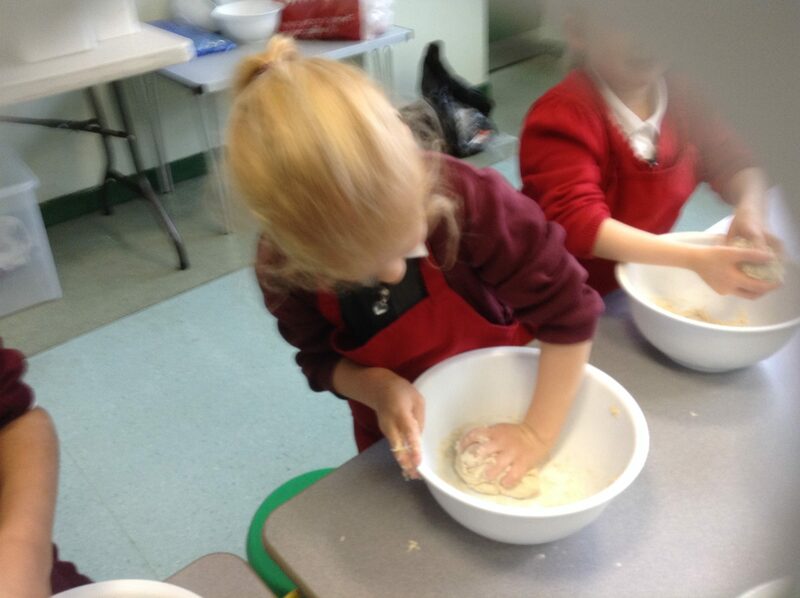 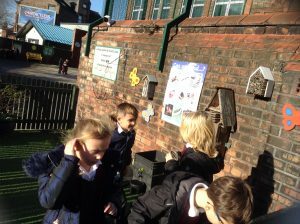 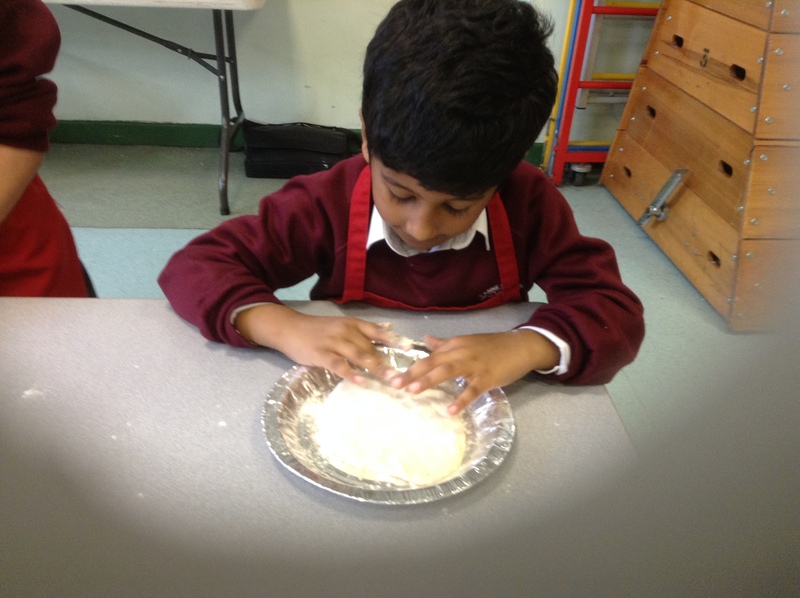 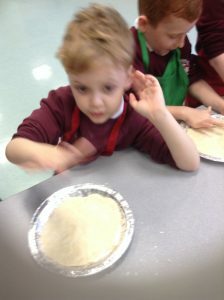 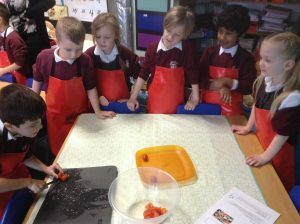 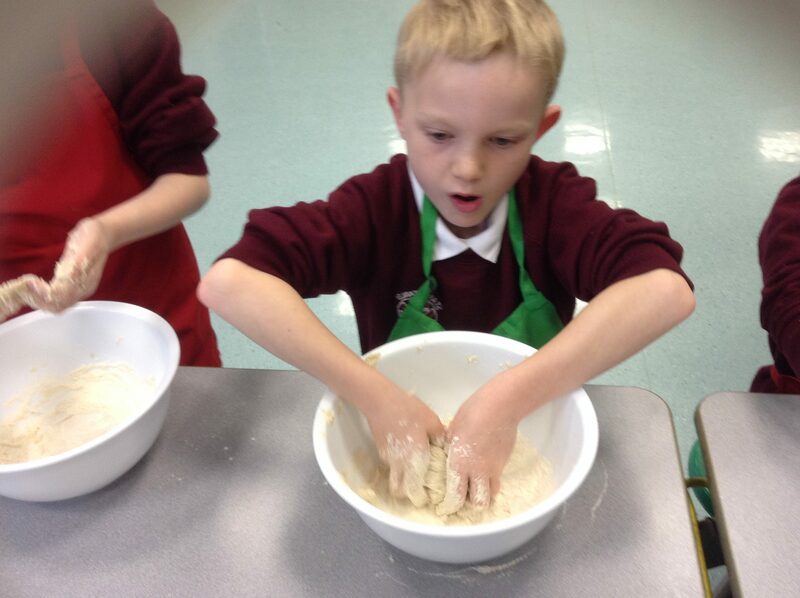 The children love explaining and sharing what they know and what they have discovered with each other. Three children have a bag of marbles. 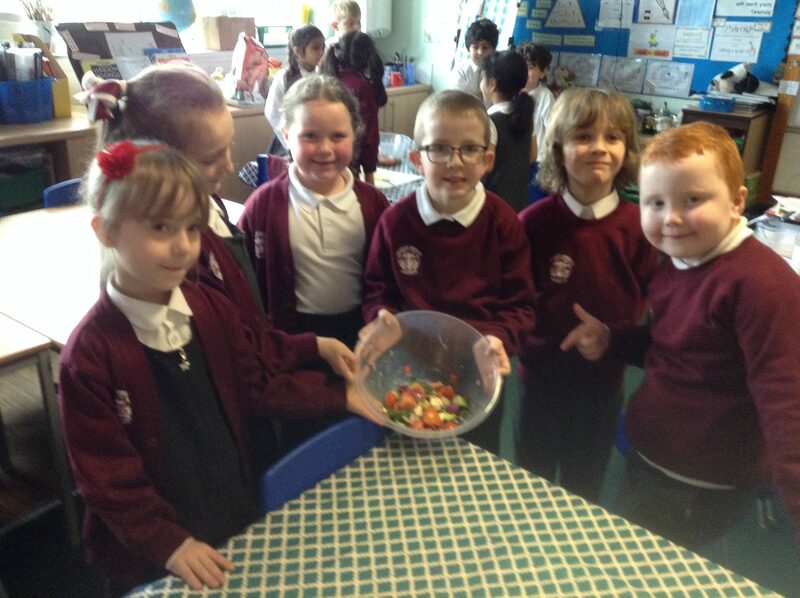 There are 15 marbles in the bag. How many will they each have if they divide them equally between each other? 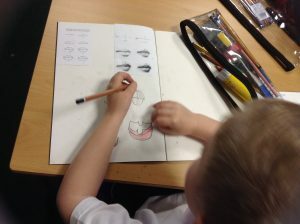 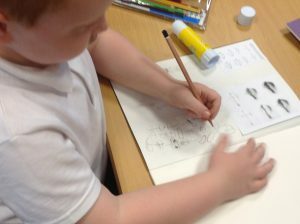 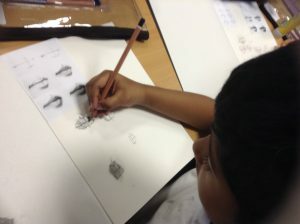 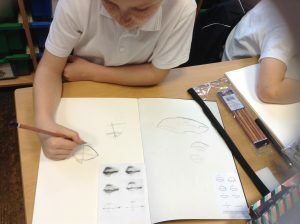 The children have their very own sketching pencil case with a variety of sketching pencils and a lovely sketching book. 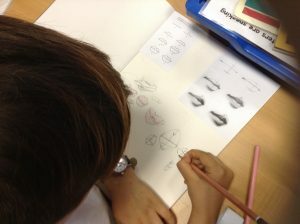 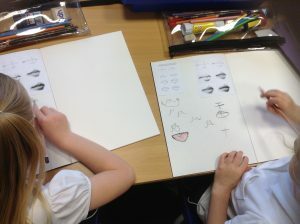 Look at their beautiful and realistic attempts at sketching features of the face! 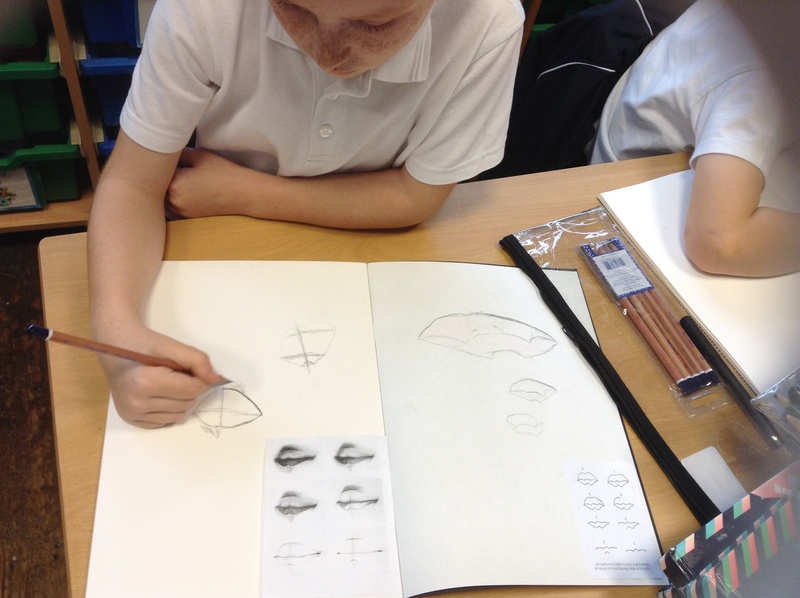 Explain the difference between colouring and shading to someone in your household. 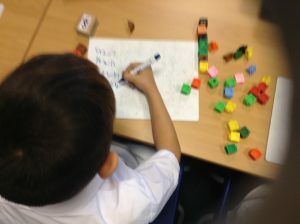 Part of committing new learning to the long term memory is explaining what you know to others. In Y2N, we encourage the children to come up to the board to solve problems, explain their thinking and showcase their knowledge! 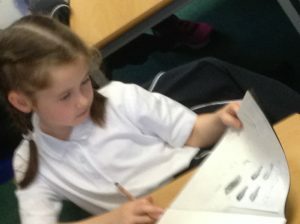 In doing so, they are deepening their own knowledge and helping other learners too. 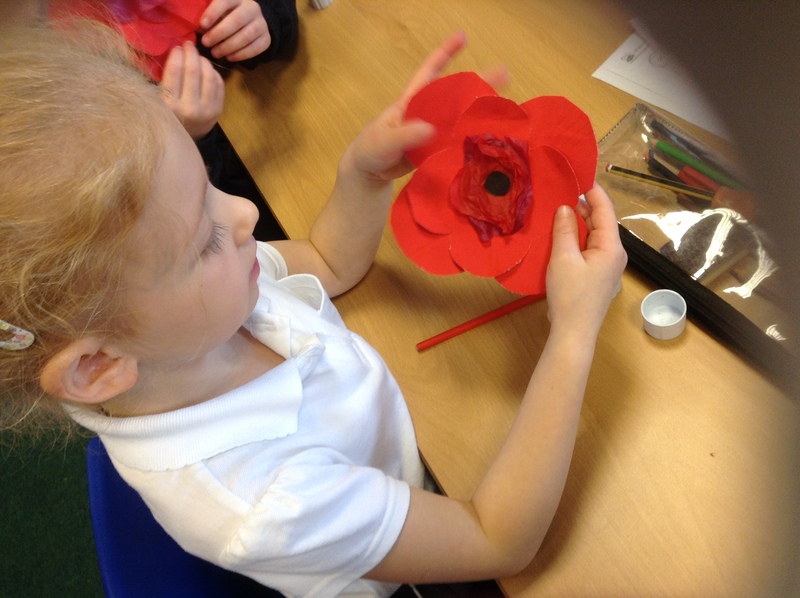 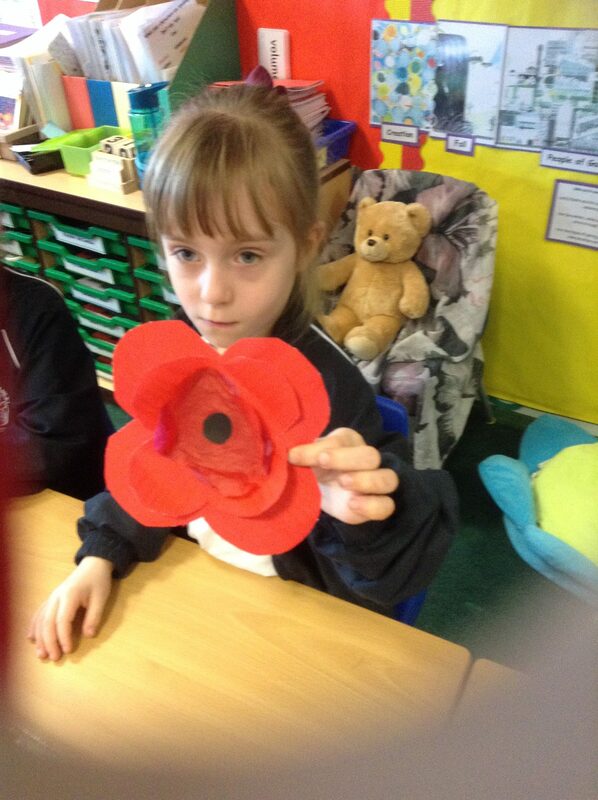 The children made beautiful poppies to add to the wholeschool Remembrance Display in the hall. 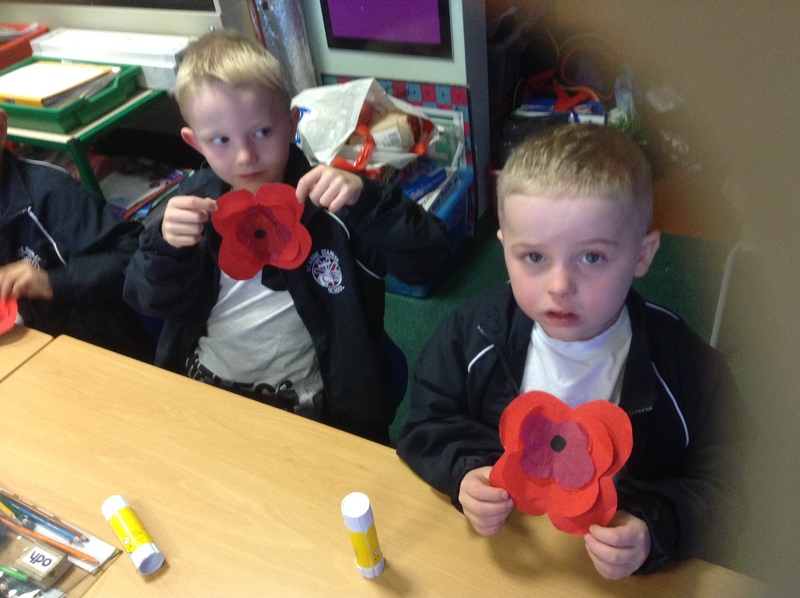 In a wholeschool assembly we prayed for the fallen and remembered that their brave sacrifices ensured that we have the opportunities we have today. 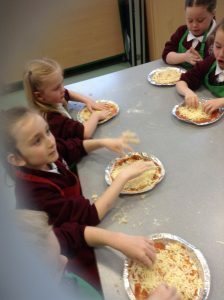 Yummy, Yum, Yum – Pizza in My Tum! How many quarters in 2 whole pizzas? 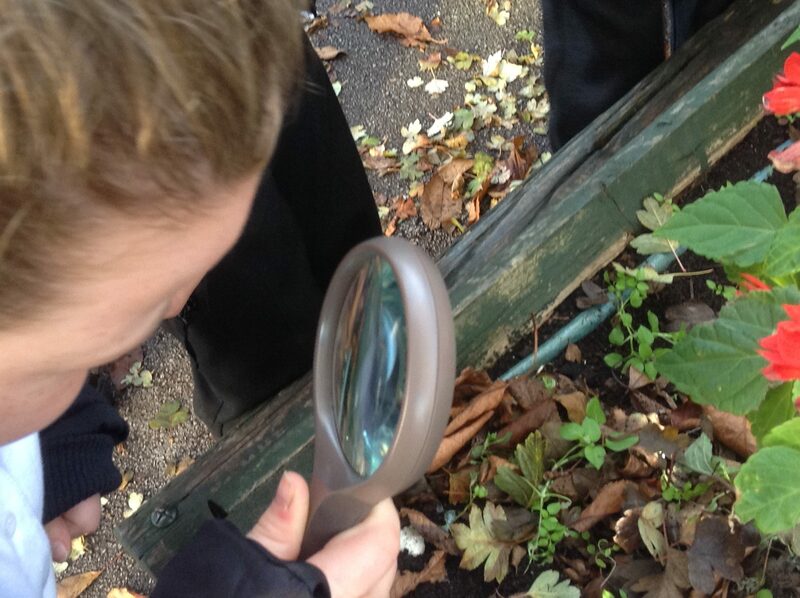 Open your eyes and you will be surprised what you can discover right under your nose! 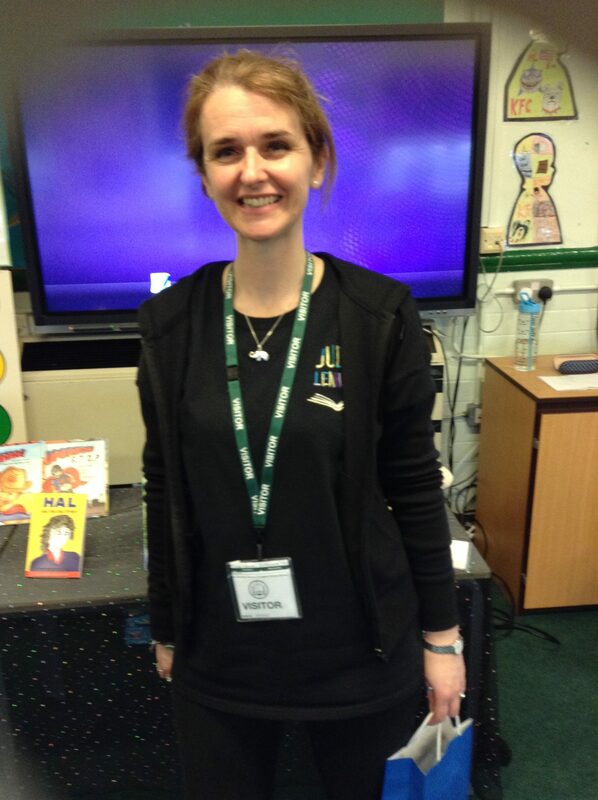 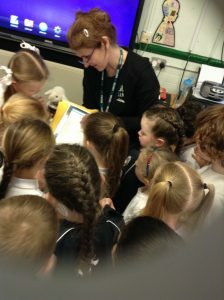 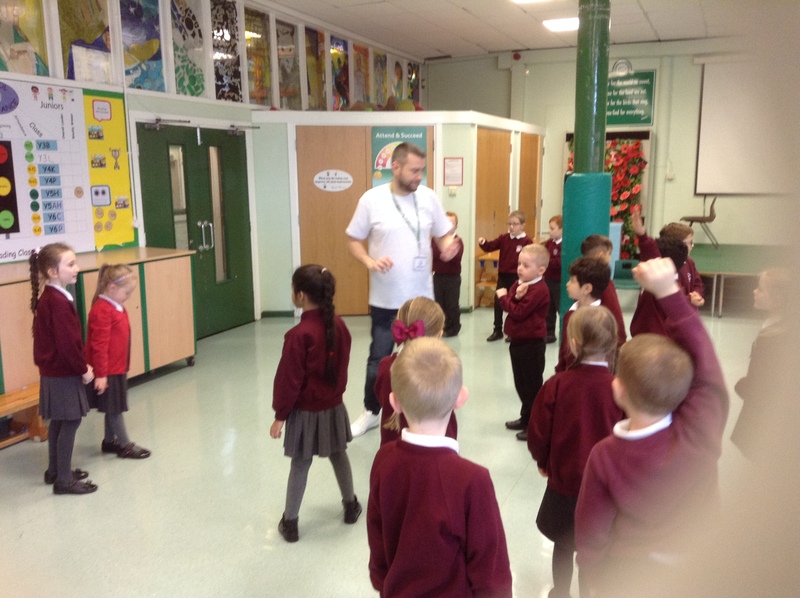 Children loved a workshop on keeping safe online. 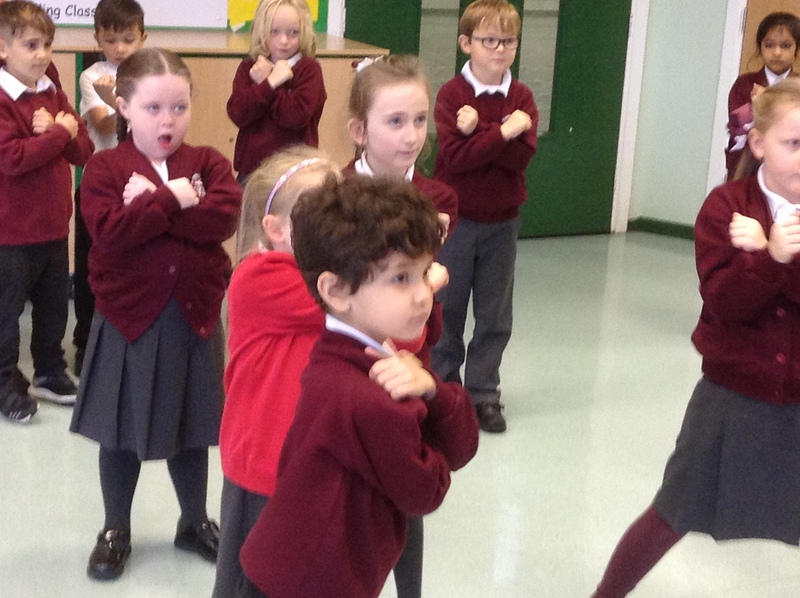 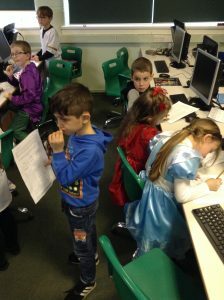 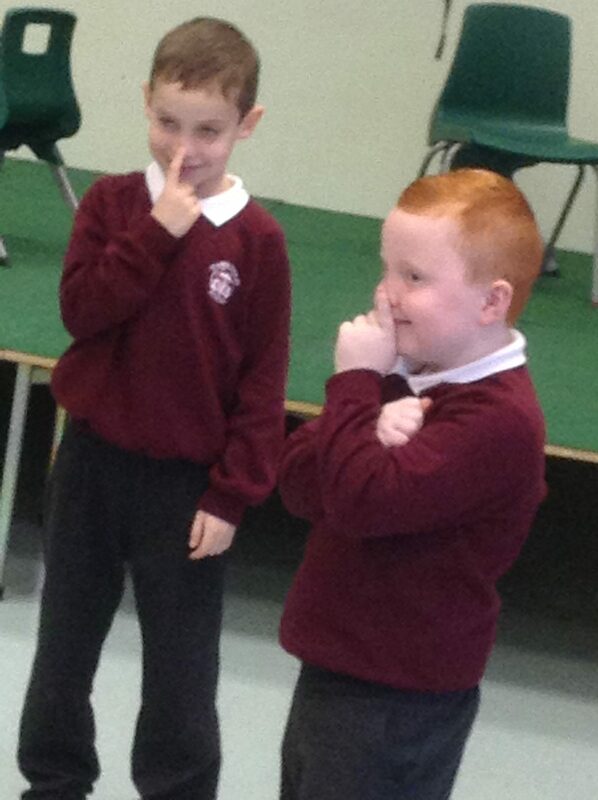 Altru Drama worked with them to update their knowledge of how to use games and apps and the internet safely. 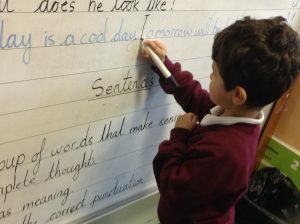 The message was clear. 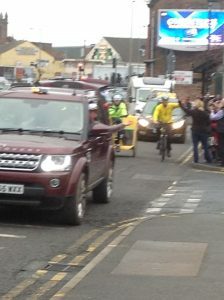 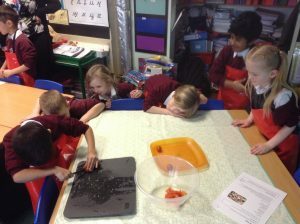 Children of this age should be supervised at all times when using their technology. 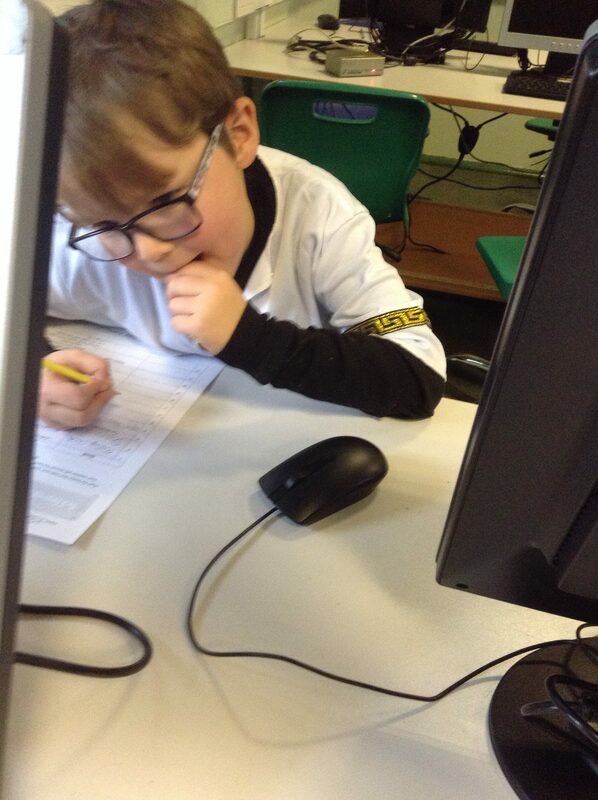 Games and Apps should be age appropriate and setting should be set and updated regularly by parents/carers. 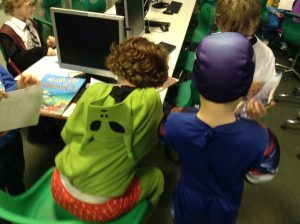 If you are not sure how to adjust setting for games/apps – check out the NSPCC’s website for more detailed information. 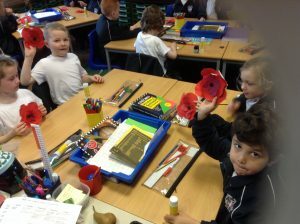 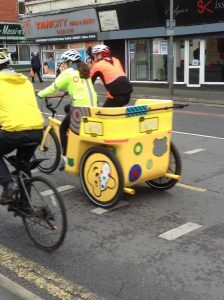 How often do we stop and say “How amazing are our young people?”. 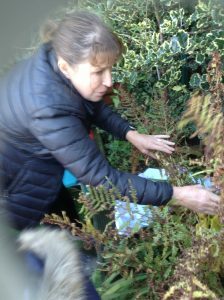 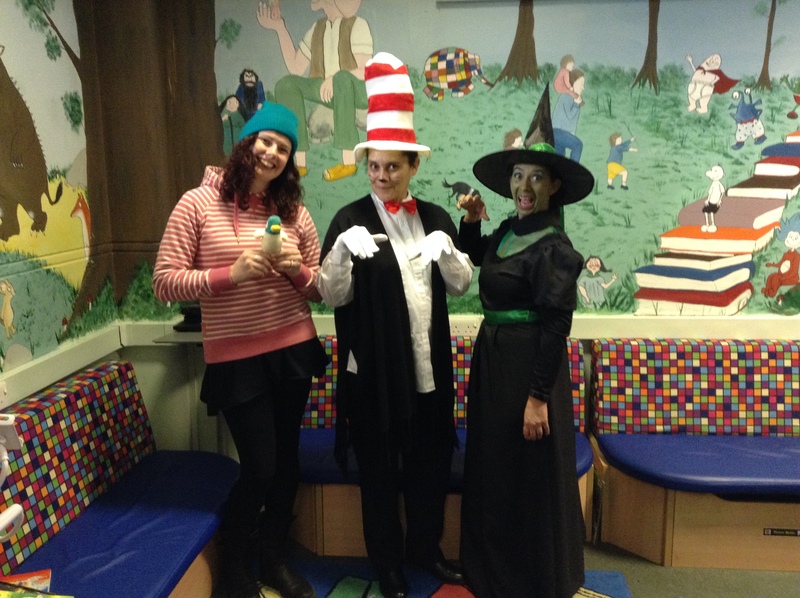 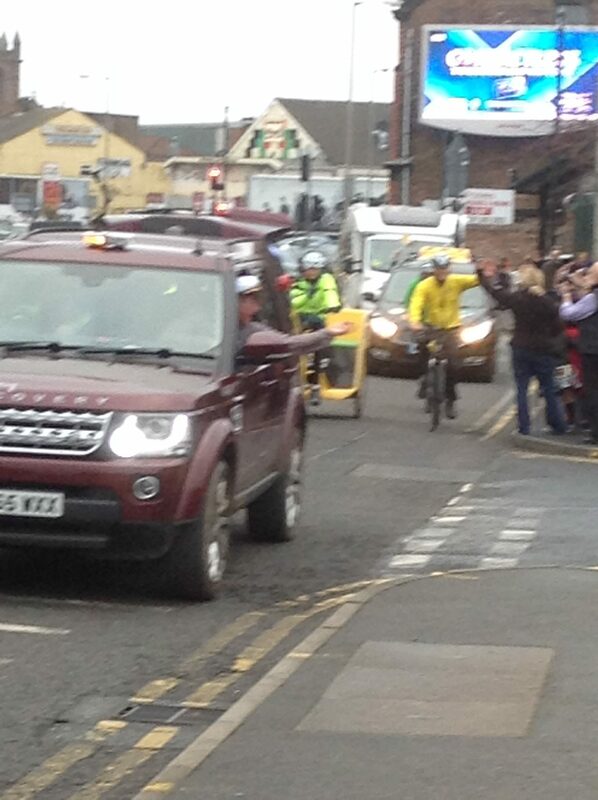 Well Miss Nurse, Miss Garner and Miss Fitzepatrick certainly did on Friday 16th November! 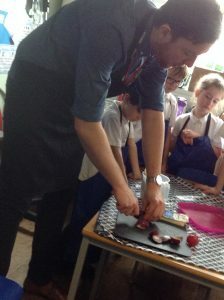 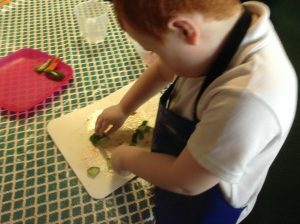 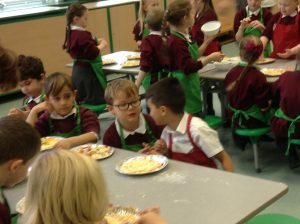 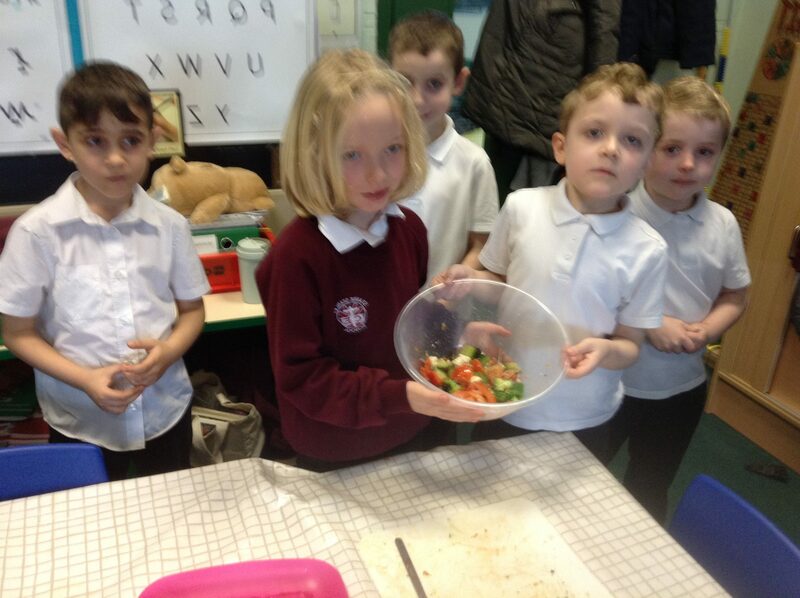 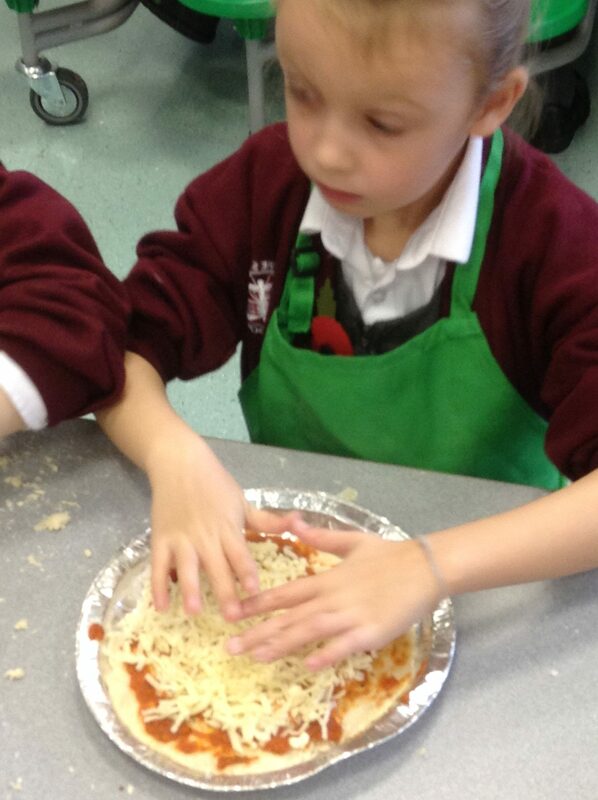 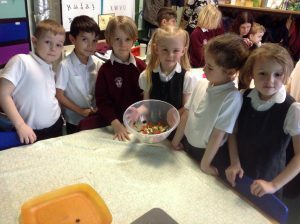 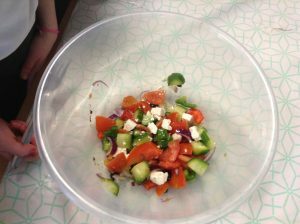 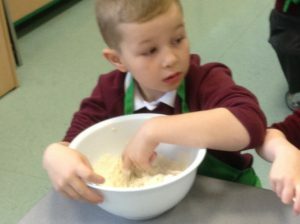 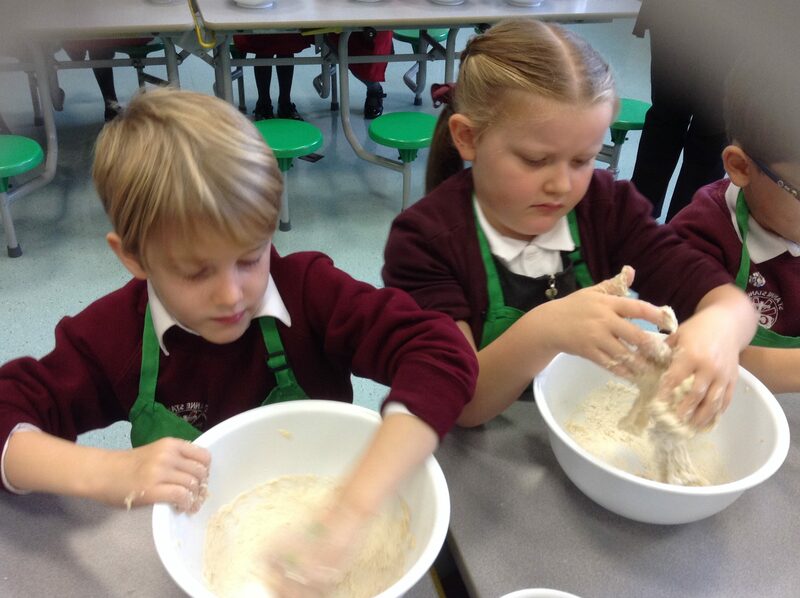 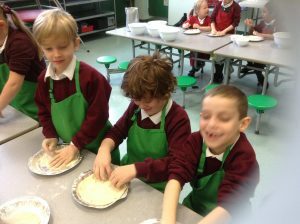 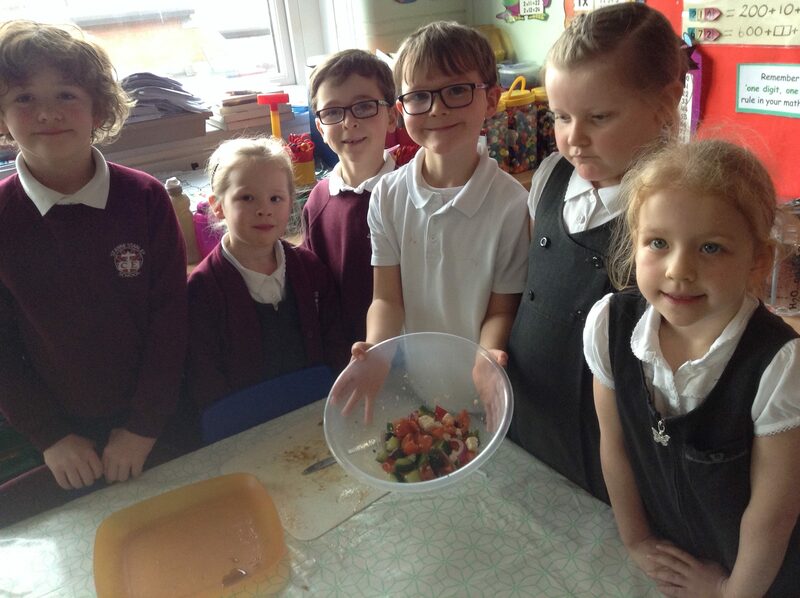 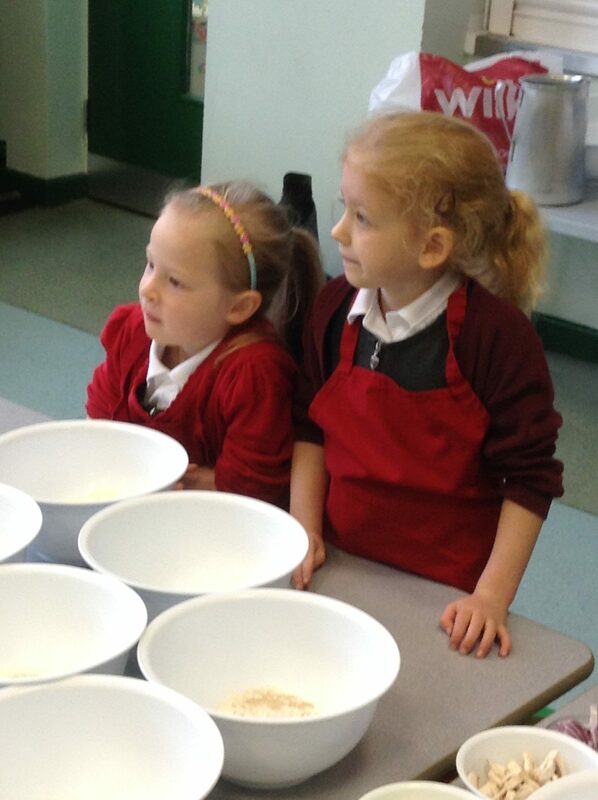 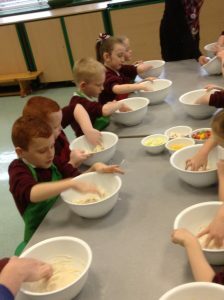 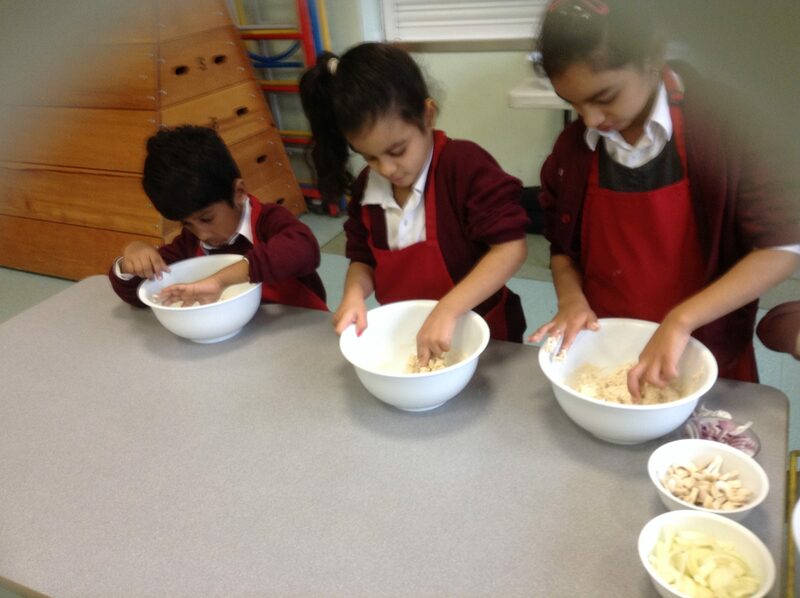 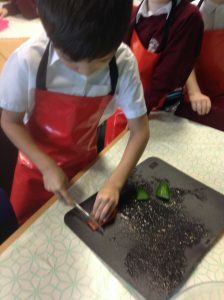 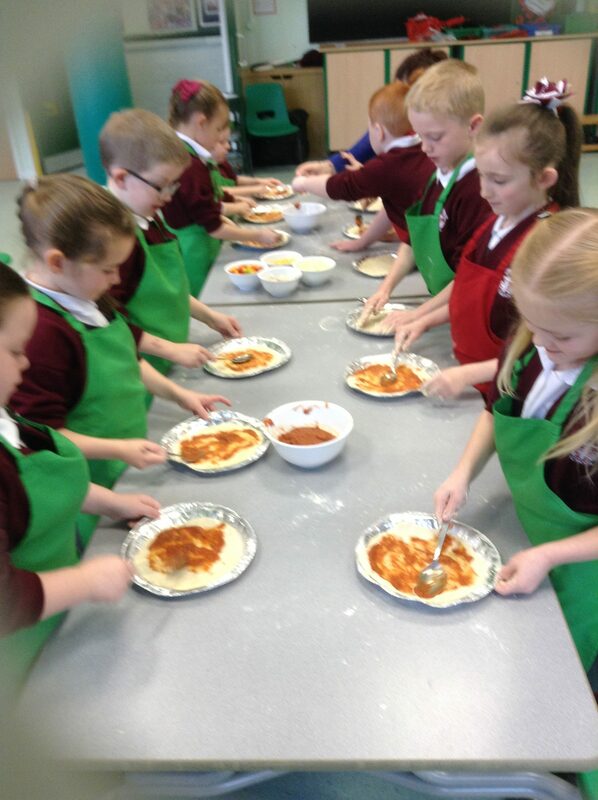 The children made a Greek Salad using fresh ingredients in the classroom today with Mr Delaney from Classroom Kitchen. 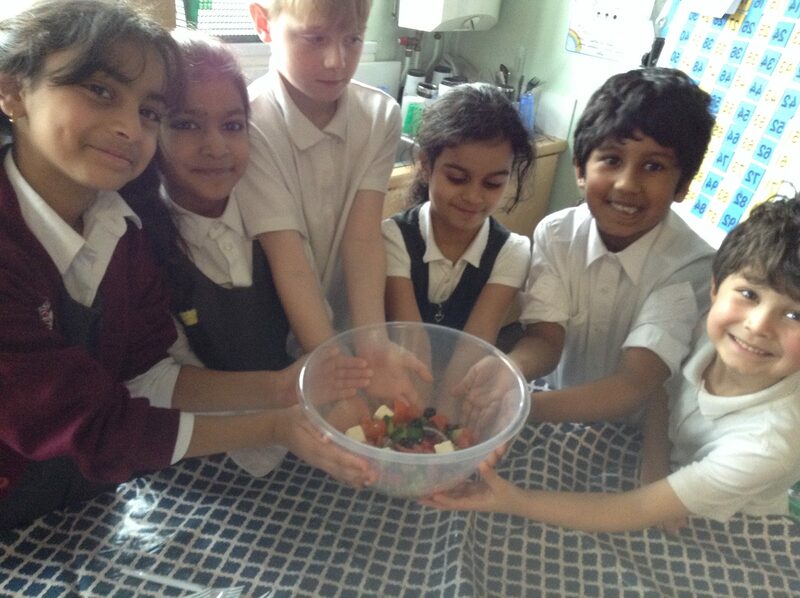 They talked about healthy eating and how to make the right choices regarding a healthy lifestyle. 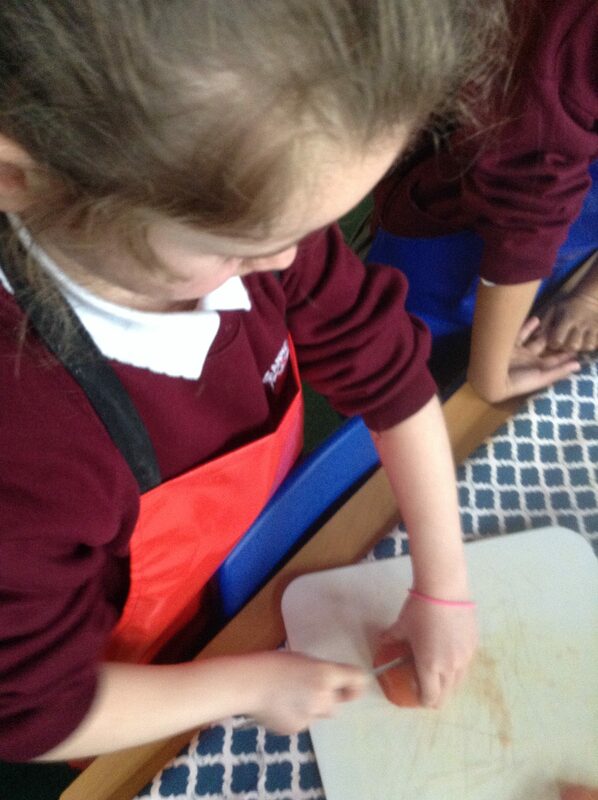 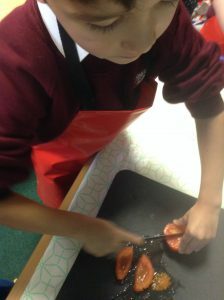 The lesson was very hands on and they now know how to cut up salad ingredients using the ‘claw’ and the ‘bridge’ cutting methods. 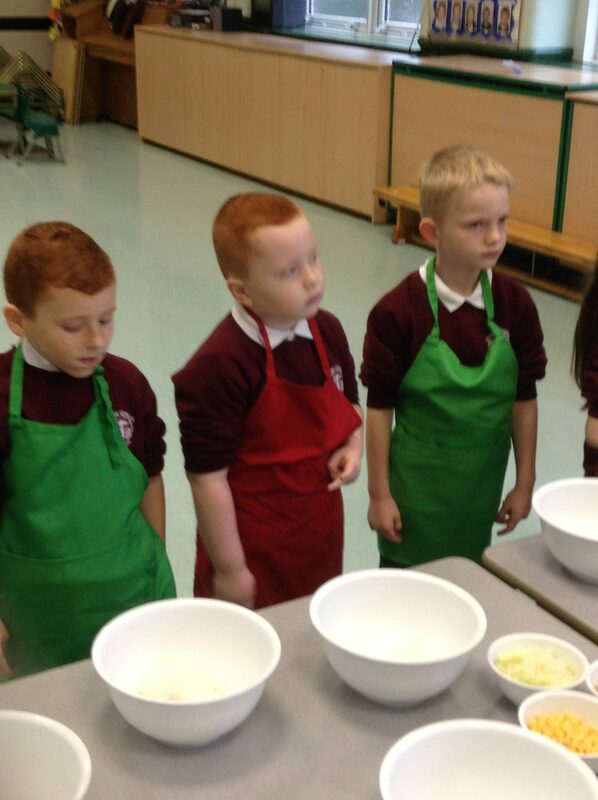 I believe we have discovered a few chefs of the future! Watch out Jamie Oliver! 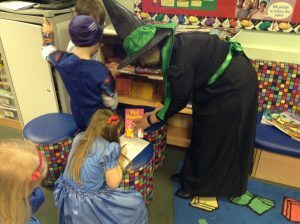 We had so much fun on World Book Day. 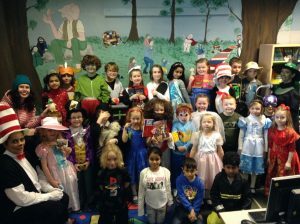 Of course the best thing was dressing up as the characters from the books and stories we enjoy reading but we also did lots of other wonderful activities through the week: we wrote our own chapter book (The Adventures of Franklin and Bertie; a book about two naughty but loveable puppies who love going on adventures), a book treasure hunt in the school library, lots of reading and English class based activities and we even met a real life author called Jude Lennon! 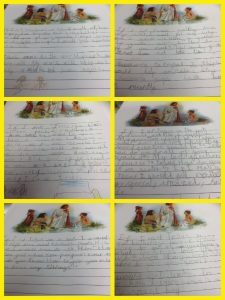 Challenge: Can you remember how long Jude Lennon ‘left her note book alone’ before she looked at her story notes again?